Heatcraft Refrigeration Products, a subsidiary of Lennox International, is a global leader in the world of commercial refrigeration. Over the years, Heatcraft had developed or acquired a broad range of portfolio brands ranging from key product names to various add-on service, ingredient, and technology brands. The resulting portfolio was complex, unwieldy, costly, and increasingly difficult to manage. As the company planned to expand its presence in global markets and strengthen its offerings in the US, Heatcraft needed to simplify and streamline its product nomenclature on a global basis. We worked with the company to analyze its global brand portfolio and assess the individual brands’ contributions to the business. We also structured and carried out a global brand architecture review covering internal and external stakeholders, and translated our learnings into comprehensive brand portfolio recommendations. 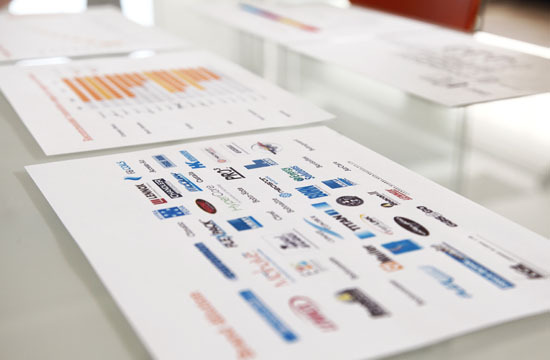 To assist the team with implementation and rollout planning, we developed transition paths for strategic brands and ran workshops with global teams to identify key changes to product/service nomenclature. Heatcraft had a solid strategic foundation for revamping its portfolio and the way in which its sales team positioned and utilized previously competing brands.